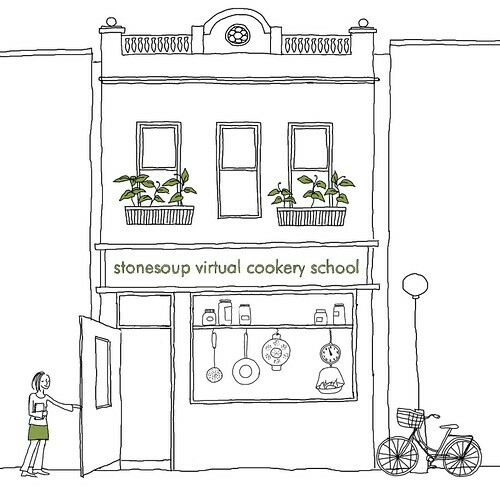 JULES: Did you have any hesitations before you joined the Stonesoup Virtual Cookery School? SAMANTHA: The biggest obstacle for me was not knowing if I would use it. I was hesitant from past experience with whatever it might be… gym membership.. whatever I’ve paid money for and then ended up not using. But I’ve definitely used it. Absolutely. It’s the best money I’ve ever spent on anything food or cooking related. I’m completely serious. JULES: What have been the biggest benefits for you? SAMANTHA: “It’s helped us eat in a way that’s best for us overall. Healthy food. Not packaged food but whole food in its natural state much much easier. Most of your recipes have such few ingredients. Not that I don’t mind recipes with longer ingredient lists, but for everyday cooking it’s quick and it’s simple. If I’m only having to chop up maybe one veg and some onion, it’s much easier than dealing with a whole bunch of different vegetables. So it’s just quicker overall and yet it doesn’t taste super fast. Everything is delicious except for one thing I made. So that’s amazing. Delicious and often times very complex flavours that I would never imagine from just a few ingredients. I’m a confident cook and taste is super important. I have very high standards and I’ve learned to tap into that and know when something needs a bit of lemon juice or vinegar or more salt. I love that you’re liberal with salt. You’ve definitely helped me being more in tune with seasoning. I’ve wasted less food by far than in the past. I’m much less stressed about ‘whats for dinner?’, ‘whats for dinner’ because it’s helped me to plan out food rather than just do it by the seat of my pants. I’m also able to vary from the plan I make without much thought. Being able to stick to a food budget. That’s been huge. I’m shopping based on my list and stick to that. SAMANTHA: My favourite feature is the recipes. I can’t wait to see a new recipe all the time and I’m ready to go and try it. Yes I absolutely love the new recipes feature. And I love your videos. I don’t know why they’re so mesmerizing and informative. I don’t need the video to know how to brown meat but I still watch them. So the recipes and the videos, for sure. As far as your newer features, I do like your monthly themes. It gives me a little bit of a project for the month. It adds some variety and interest and excitement for your food for the month. It’s simple and uncomplicated. Even though it’s delicious, there are a lot of things that are delicious but take 10 times longer. This isn’t necessarily what someone was going to think of as gourmet food but it’s funny, my in-laws think it is when I serve them something of yours. Discovering the simplicity you can have with everyday meals is the most important benefit. JULES: Would you recommend classes at the SVCS? SAMANTHA: I recommend your classes all the time. No-one believes me. Without a doubt it’s the best money I’ve spent on recipes. Yes it’s all delicious. Most of the ingredients in general are easily accessible. And if they aren’t for any reason your variations and substitutions are endless. It lends itself to a lot of different types of eating. So it’s not just low carb. If somebody has a family of 8 they could eat the same thing with slight variations as we do as a couple. ps. Like to try a simple approach to cooking?